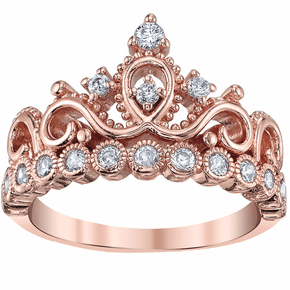 Rose Gold-plated and Sterling Silver Everywhere. 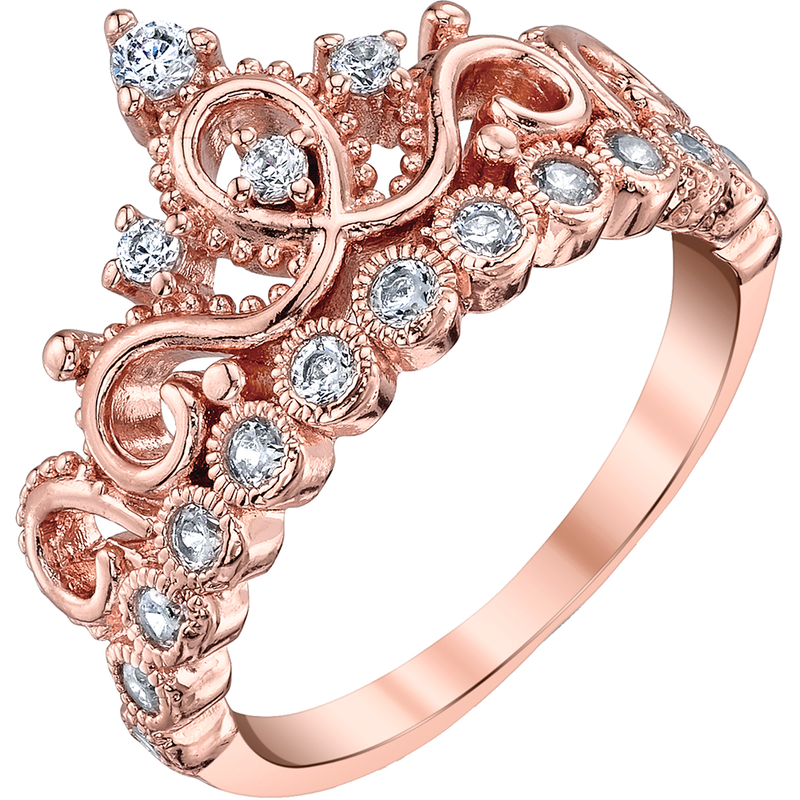 The unit is plated with 14K rose gold for a flawless shininess. In terms of finishing, it comes in yellow, rose and white. 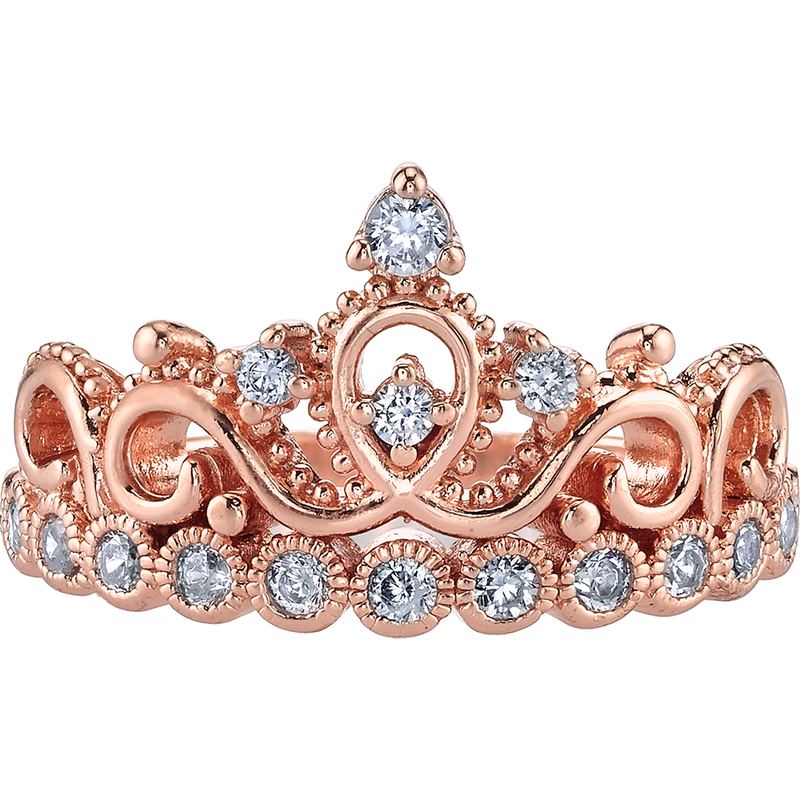 As for the actual material, it is made of 0.925 sterling silver – 92.5% silver and 7.5% copper. The copper is added for extra durability, yet it does not affect the silver brightness. It comes in 10 sizing standards – from 3 to 12. Moreover, it measures 14 millimeters in width. 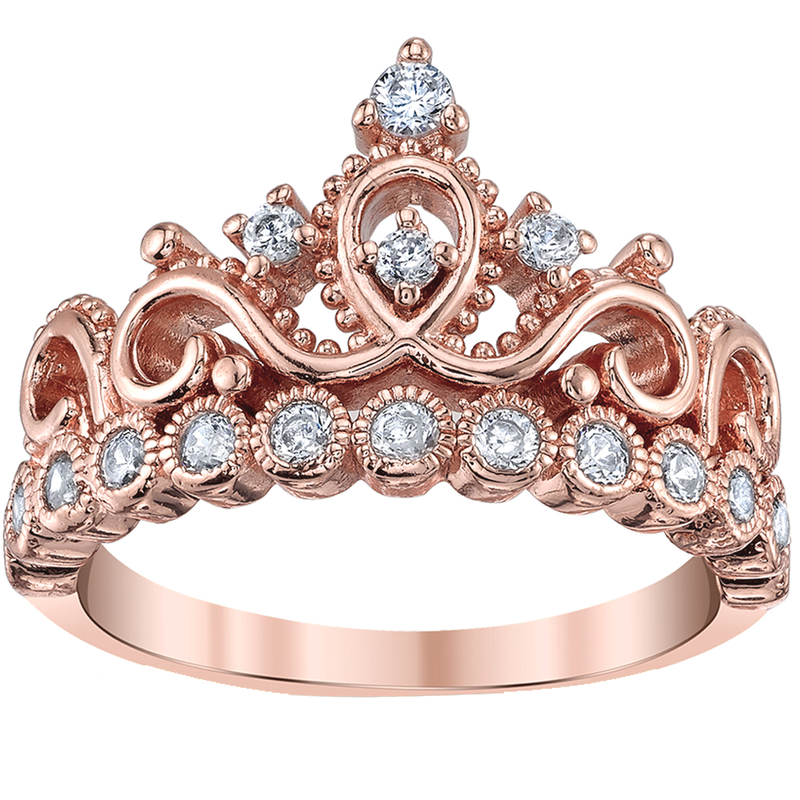 This beautiful sterling silver princess crown ring resembles the woman who wears it. It is covered in 17 cubic zirconia's, giving it a beautiful shine!